Treixadura and Albariño. Fermented and aged in barrels for 3 months. Integrated wood flavours where fruits play a leading role, heightening and lengthening their varietal expression. Treixadura, Albariño, Godello and Lado. 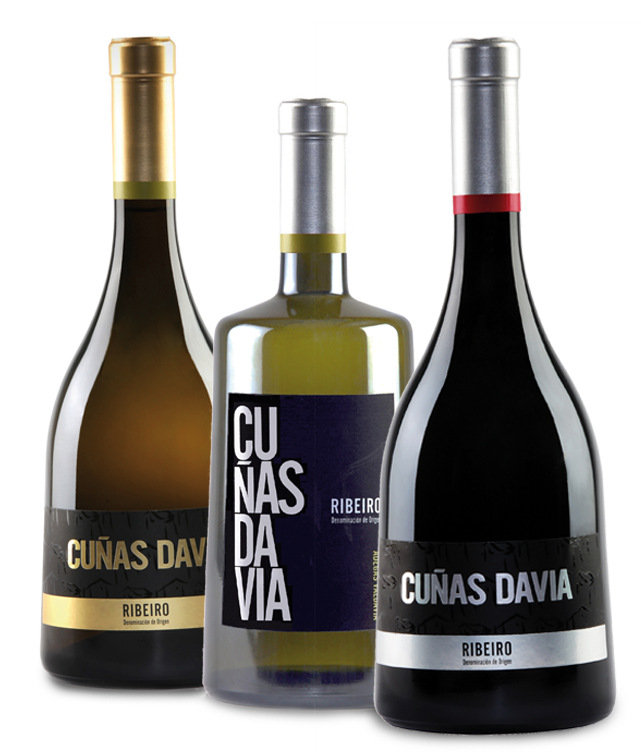 Essence of Ribeiro through a unique combination of Galicia’s best varieties. Mencía, Brancellao, Caíño and Sousón. Genuineness, freshness and Atlantic elegance.